Lao government officials said on Thursday that search has been continued for the 131 missing people after a dam collapsed on Monday in southern province of Attapeu and medical workers have been sent to temporary shelters to help villagers affected. 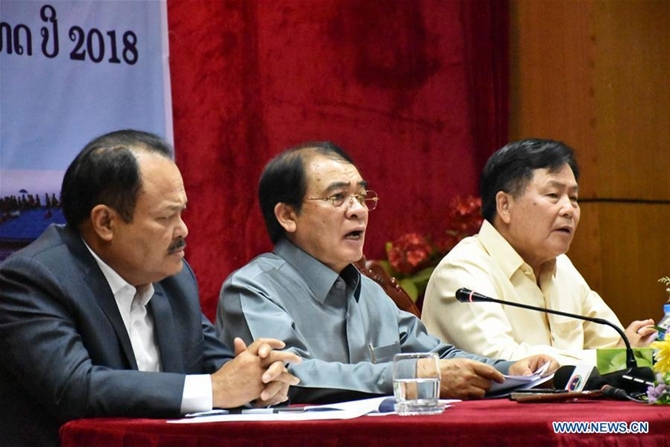 Khampheng Saysompheng, Minister of Labor and Social Welfare, told a press conference here that Lao government will offer convenience to rescue teams from China, Thailand and Vietnam, which are applying to aid. The dam that collapsed is part of the Xe-Pian Xe-Namnoy hydroelectric power project which involves Laotian, Thai and South Korean corporations. Six villages in Sanamxay district of Attapeu suffered severely. Khampheng said the collapsed dam is located on a mountain saddle, 35 km away from the villages hit by the flood. He said the villages are at lower areas and massive water leaked from the collapsed dam caused great losses. The official said 3,060 people became homeless after the disaster and the affected areas are in need of tents, boats, among other necessities, while the private sector and foreign countries including China have offered help. Minister of Energy and Mines Khammany Inthirath said his ministry has set up a committee to investigate the incident and to help villagers affected. He said the ministry has demanded all hydroelectric power projects across the country, both operational and under construction, to be cautious about the weather and report the situation to the government. Minister of Health Bounkong Syhavong said at the press conference that his ministry has dispatched officials and medical workers to all temporary shelters to check the health of villagers and to assure hygiene. Bounkong said the authorities are paying great attention to the prevention of malaria. Sanamxay district governor Bounhom Phommasane told Xinhua that since Wednesday, the water level in the disaster-hit areas has decreased, hampering rescue efforts by large boats. Authorities have been using smaller boats and sometimes entering by foot. He said until Thursday, the district could only confirm one death and 131 people missing, though Lao News Agency had reported earlier that 26 people were killed.